There’s no denying the RX300’s importance in marking Lexus’ territory and virtually starting the crossover SUV market. 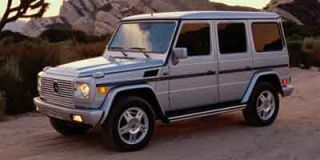 But it didn’t go on sale until March 1998 – a full 26 months after the larger, Toyota Land Cruiser-based LX450. 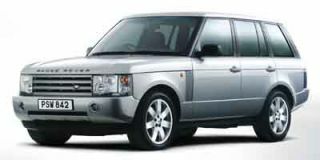 In fact the first major redesign of the LX (when it became the V-8-powered LX470) came alongside the RX’s debut. Which of the two did the most to establish Lexus’ SUV business? That’s open to debate, though anyone caring about such an argument has severely limited intellectual horizons. 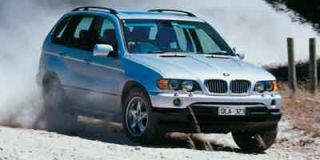 The LX470’s makeover for 2003 is nowhere near as extensive as top-to-bottom redesign that turned the 2003 RX300 into the 2004 RX330. Though short of substantial, that doesn’t mean that the changes aren’t substantive. The revised LX470 is distinct from both the RX and its new brother the GX470, and a better truck than it was last year in practically every way – except the one where it needed help the most. 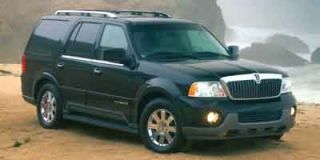 While the basic truck is unchanged, the 2003 LX470 has a number of readily apparent updates. First are the new 18-inch wheels wrapped in 275/60R-18 tires. The 18s aren’t radical pieces, but their presence does lend a subtle 21st-century grounding. The front grille has been reshaped and is now flanked by projector beam headlamps, both the front and rear bumpers are new and now body color and the tail lights have been modified. More impressively is how the new running boards span the wheelbase and feature subdued, unobtrusive lighting at night. It’s still easy to spot the LX’s Land Cruiser origins and sheetmetal, but there’s no shame in that. The redecoration continues inside where there’s a redesigned dashboard trimmed in bird’s-eye maple (not to be confused with Birdseye frozen corn niblets, which are nearly impossible to grain properly), a new DVD-based satellite navigation system, a new rear-seat DVD entertainment system with a screen that drops from the ceiling, and a new, truly awesome Mark Levinson 11-speaker stereo system. The new dash is more contemporary looking than the one it replaces, but still rather haphazardly crammed with the controls for all the various equipment this truck carries (adjustable suspension, folding outside mirrors, rain-sensing windshield wipers, skid control, traction control, adjustable antenna, power everything). Still, while the wood dash trim is nice, the option of a completely leather steering wheel rather than the leather-and-wood that’s standard would be appreciated. The front seats are well shaped, covered in leather so soft it almost feels like velvet, and heated. Rear seaters are treated almost as well with the new on-board DVD system. The drop-down LCD screen is easy to read, but the location of the DVD player itself behind a side panel in the far rear of the cargo bay precludes disc swaps on the run. That’s no big problem until the moppets start screaming that they’re ready for something other than the sixth run through a Thomas The Tank Engine disc on a long trip. The third-row seats fold up and up to the side or remove altogether, and under most circumstances it’s best if they’re out. Oh yeah, airbags are strewn about the cockpit in vast quantity. Of everything facing the driver (and it’s a lot) the two most attractive elements are the electro-luminescent main instrumentation and the sound system. Lexus’ vivid instrumentation is something of a tradition with the company and this latest example is its best attempt yet; it’s bright, straightforward and oversize. The sound system isn’t much to look at, but its sound is lush, crystalline and enveloping. Going to a live concert may be a letdown after listening to the Lexus’ Mark Levinson stereo. But the two high-profile elements are the navigation system and the trick new “Night View” system that supplements those slick new headlights. The navigation system uses a seven-inch LCD screen above the sound and ventilation controls and works pretty much like every other nav system – which means it’s a not-cheap alternative to cheap maps. Most annoyingly, and like other nav systems, every time the truck starts with it on the driver must “agree” with a written warning before the screen switches over to a map or whatever. One half-expects the system to advise consulting an attorney before agreeing to its use. The Night View system is remarkably effective. Near-infrared beams are projected from two lamps in the lower grille whose reflected light is read by a Charged Coupled Device (CCD) camera mounted at the top of the windshield behind the rear view mirror. A computer then processes the images and projects the results onto the windshield low in the driver's field of vision. The Night View doesn’t cover the same large arc of vision your eyes do, and the image is in black and white, but it peers out to nearly 500 feet and makes distinct objects that would otherwise disappear into the night. The sheer novelty of the system means it can be a distraction at first, but it quickly becomes a natural reference for the driver. Better mechanically, but good enough? 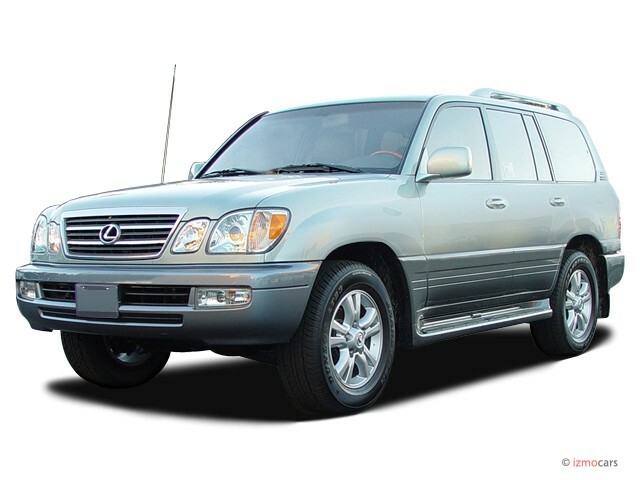 Five-speed automatic transmissions are now common and the LX470 gets one too for 2003. This is, no surprise, the same five-speed used in the Toyota 4Runner and the GX470 and could only be smother if frozen yogurt were mixed into every shift. The new transmission gets the absolute most from the 4.7-liter, DOHC, 32-valve iron-block V-8. But this smooth V-8, also used in the 4Runner, GX470, Sequoia and Tundra pickup, absolutely most is only 235 horsepower and 320 pound-feet of maximum torque. 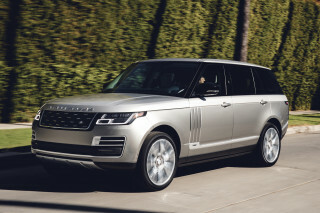 Compared to the 345-horsepower 6.0-liter V-8 in the Cadillac Escalade, the 282 horsepower available from the 4.4-liter V-8 in the Range Rover, or even the 240-horsepower, 3.5-liter V-6 in the Acura MDX, the LX470 powerplant seems flaccid. 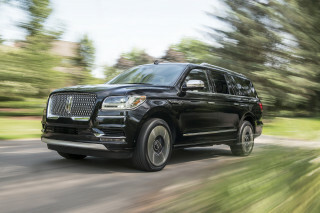 Especially in light of the fact that the LX weighs in at a staggering 5590 pounds – that’s 211 pounds heavier than the similarly sized Range Rover and just 209 pounds less than the larger all-wheel drive Escalade. The LX isn’t quick and in normal driving it doesn’t feel strained, but lug up a mountain and the 4.7’s limitations are apparent. The LX470 needs a larger engine and this redesign does nothing to address that obvious deficiency. At its core, the LX470’s engineering is conservative. 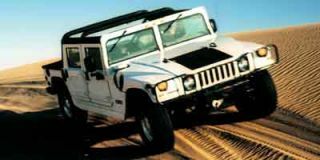 It rides on a ladder frame with a double-wishbone independent front suspension incorporating torsion bars, and a solid axle sitting on coil springs and located by control arms in the rear. The body is robust and the doors slam shut with the authority of a Norge made back when no one was worried about little kids locking themselves inside or what refrigerant would keep the Rocket Pops in suitable fighting shape. The suspension is simple, but hugely effective. It soaks up bumps off-road with grace and on-road it rides the way a three-bedroom, three-bath Victorian should. It’s also spookily quiet. The rear suspension is harsher than the new Range Rover’s independent system, but it’s still well controlled. The rack-and-pinion steering lacks much feel, but it doesn’t kick back when the suspension pivots over a rock and no over-assisted. 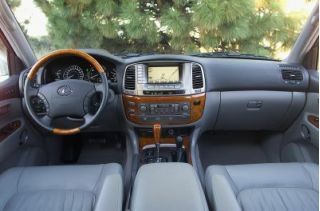 With a base price of $63,125 the LX470 isn’t cheap (and options can punt the price past $70K in heartbeat). But neither are its direct competitors and the Lexus feels like every dime is in the structure and fittings. At least when you’re driving this expensive truck, it feels like an expensive truck.